Dia Newsdrop with a side order of insulin. My head went straight into overdrive, so many questions, so much confusion in my mind that day. How ? Why ? No ...... Check again ! NO I can't do this, followed by silence, because I just couldn't think of what to say, and then came the tears, lots and lots of tears, no tissues used, this called for a tea towel !. No this was not depression, it was grieving, and boy did I grieve, in every sense of the word. But in my usual fashion I picked myself up and decided to grab this vicious beast and do what I could to house train it. 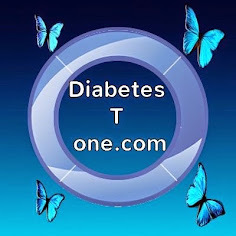 I look back now and smile to myself when I think of how confident I felt as I joined the many groups and forums related to all types of diabetes and the appliances and medications used to manage the condition, but no one ever told me that Diabetes was also a language and not a language I spoke. Terms like MDI, BG, subcutaneous, infusion sites, CGM, hypo, ratios, bolus, basel, trends, exchanges, tubing, meters, ketones, corrections, calibration, hba1c, carb counting, and then there were the needles 4mm 5mm 6mm, the appliances, on any given day these terms were just part of an average conversation between people and I had no idea what they were talking about. With Googles help I wasn't long taking a crash course, so I could ask relatively intelligent questions in order to learn a bit more than just basic information. It was then that I learned our online community is vast, with information and support that is second to none. I somehow thought our hospital teams would have every single bit of up to the minute information. I now can't even figure out why or how I could have thought up this Gem, when it clearly takes lots of time online, and on social media daily to hear all about what's new, what's available in Ireland in reality, and what's only in our dreams. that our diabetes community might be interested in. and let's face it nowadays everyone has an email address, haven't they ? 31st March is our first issue.